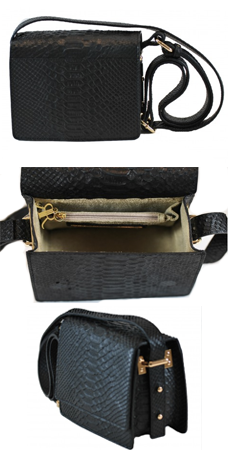 This gorgeous mini bag comes in five colours but I would find it very hard to choose between the Green Leather, the Nicotine Python and Rose Taupe Python. All Reece Hudson bags are made in Italy but designed in New York. It features an adjustable strap (approx. 22" drop) with a cotton lined interior and patch pocket. It's approx. 4.5"x 5.5"x 2". Like the Reece Hudson above, this design is a little more unusual in that it isn't the longer rectangle, envelope shape that seems to be popular in mini bags. It's got a chain detail closure which adds a bit of difference and comes in this warm, go-with-everything cappuccino colour. 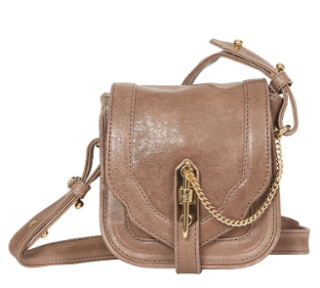 The mini Cece is a cross body bag, featuring a chain strap, an exterior zip pocket and interior patch pocket. It's 8"x6.5"x2.5" and the strap has a drop of 22". And, it comes in ten great colours for you to deliberate over. This gorgeous Italian cowhide mini bag comes with a detachable chain strap (that has a leather section that sits over the shoulder) and a slit pocket under the external flap. It comes in six colour ways and is shown here in wine. 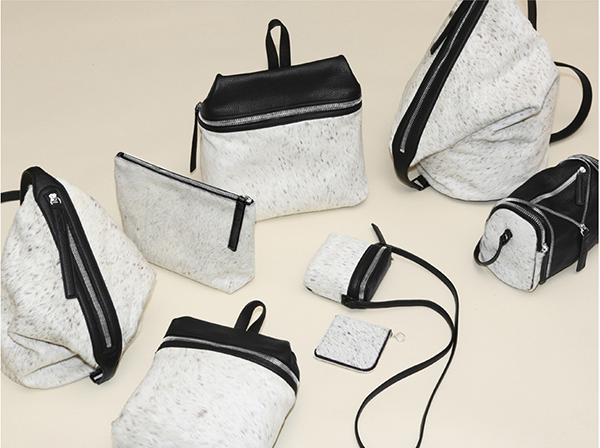 I love this KARA mini-bag because of its ability to expand, solving the potential problem of deliberating over whether a mini bag is going to fit everything you need! 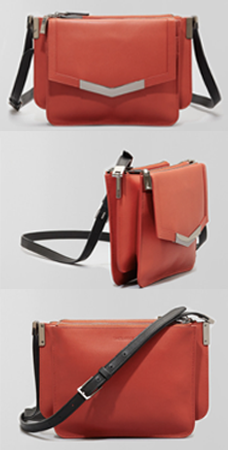 Made from pebble leather with a fabric lining, the main compartment is collapsable and there are two side pockets. It is also available in maroon and lavender but the camel is currently sold out. Dimensions are 6.5"x8"x5" when expanded. This mini bag has an adjustable and detachable cross body strap. It's available in black with white, camel and sunshine (pictured) and it's brass hardware has a shiny gold finish. 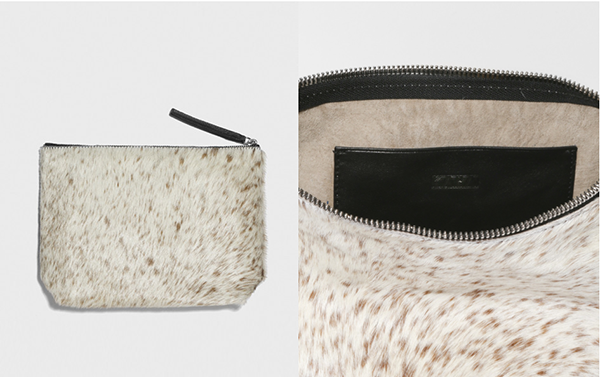 The flap closure is magnetic and inside it's got a zip pocket and handy mobile patch pocket. Dimensions are 5.5"x10"x2". I'm loving this python-effect black mini handbag. It's got a zipped internal pocket, features gold hardware and an adjustable shoulder strap (with a drop of 30cms). Dimensions are 17.5cm x 14cm x 8cms. 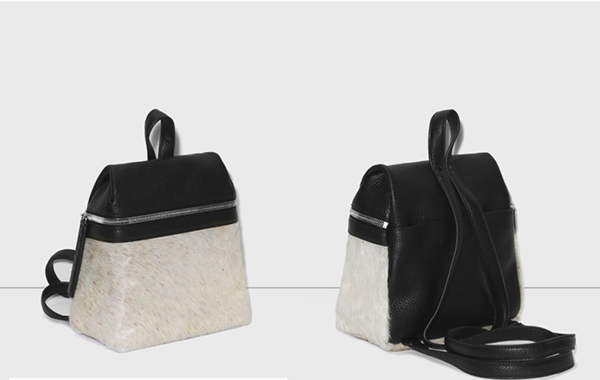 This is a mini bag with a very modern feel. It's available in three colours - paprika (pictured), black and Sherwood croc. There are three top zip compartments and a front flap pocket with a magnetic closure so you will not run out of places to put things and nor will being full or flat spoil the look of the bag. With a card slot in the last compartment and adjustable cross body strap you know they have thought of everything in the design. Have you seen any mini bags that have particularly caught your eye? A few people have asked me about leather backpacks recently (or rucksacks, if you are a Pom ;-)) So, this post is dedicated to the top five from independent designers I've come across lately... Hope you see something you like and don't forget to let me know if you are on the hunt for a particular type of bag - I might have seen something that suits. From the Ally Capellino range of Zippy bags comes the Billy backpack. One of the things I love about the Billy is the squarer shape which makes it very functional for putting a lot in (if you are like me and a bit of a bag-stuffer). Internally, it has a padded pocket that can fit up to a 13" Macbook and a zipped pocket for things you don't want floating around. Available in black, mint and white, I'm loving the mint with the brown straps which are, by the way, padded. I recently came across this US brand Kara, launched in 2012, and like this modern backpack which comes in black and maroon. It's got two zipped pockets - one interior and one exterior. This bright yellow backpack from English brand Grafea will be a nice pop of colour especially for those heading into autumn and not ready for the usual muted tones of the cooler seasons. It's got several exterior pockets, including a zipped pocket on the back for things you might need to quick access to but need a bit of extra security for. 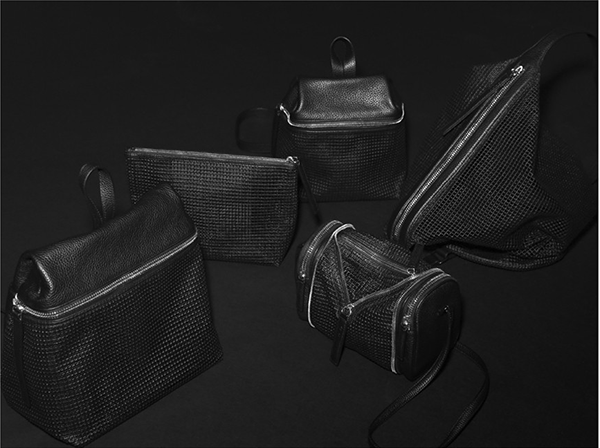 Hayden-Harnett is a US-based bag and accessories brand. 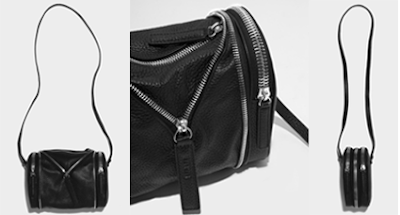 With a broad range of accessories and pieces, including a great range of mens bags, the Thierry is described as a 'sling' bag rather than a backpack as it has a single, adjustable strap. The overall style is the same minus the traditional top-flap pocket of a backpack and has a zipped, exterior front pocket, and interior slip and zipped pockets large enough to fit an iPad. Have you come across any interesting designers or backpacks lately?